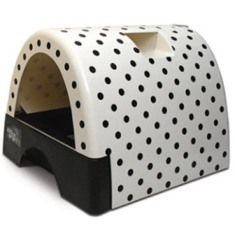 Cat litter box furniture is a luxurious cover for a cat litter tray or pan. 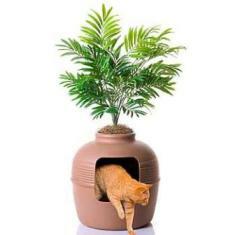 What could be more perfect than a hidden feline litter box - a disguise for the generally unsightly litter tray. It's stylish cat care! 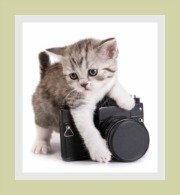 Generally a cat would prefer to relieve itself in a private spot outdoors. Cats that live indoors or in apartments are obviously not able to do this. 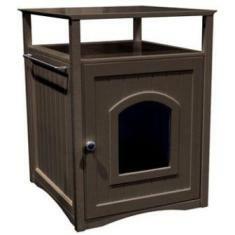 A covered or hooded litter box is a perfect alternative. 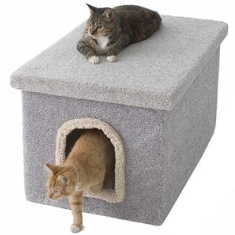 Not only does it provide your cat with all the privacy that it deserves and needs, but these covers also hide an unsightly tray and also contains the odors and mess. 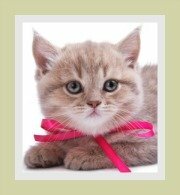 Some cats appear to suffer from claustrophobia and refuse to use any covered or hooded cat litter box. 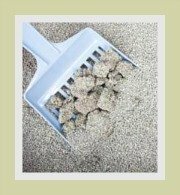 You may want to consider other reasons why your cat is not using the litter box. The entrance to the cat box needs to be large enough to accommodate your cat's size ....kittens grow! The interior space needs to be large enough to allow a cat enough room to turn around when covering its waste. 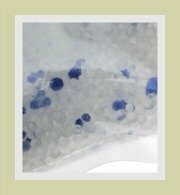 Is the cover removable or easy to access - you will need to change the litter daily and clean and disinfect the unit once a week. The prime function is to house the litter tray, but some designs are ideal as bathroom cabinets, others ideal side tables for your bed and some are perfect side tables for the lounge. 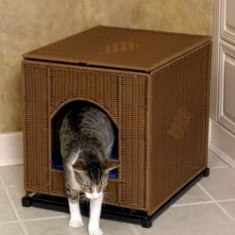 Cat litter furniture is available in a range of stylish and innovative designs to suit your decor. The units which resemble furniture, can be expensive, but worth the money as they are multipurpose. 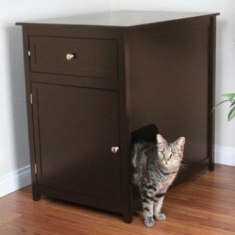 A cat litter cabinet is multi-functional and generally made from wood or a veneer. 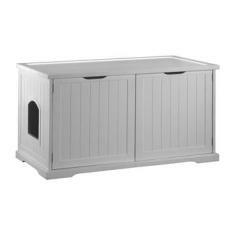 A wooden cat litter box is available in a range of finishes to suit the most stylish room. If you prefer wicker, we have seen some really stylish 'plastic' wicker alternatives. These are very attractive units and a piece of furniture that will not look out of place in any room. The advantage of a wicker unit is that it is easily cleaned with soap and water and does not absorb odors. 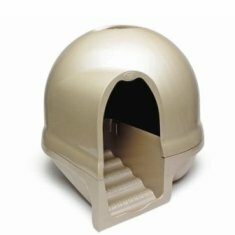 When purchasing any of these units ensure that it is easily accessible to your cat and secondly to you (you will need to clean it). 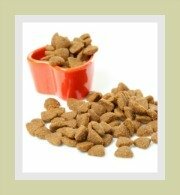 If the litter tray has a catch tray and is fitted with convenient glide rails - cleaning will be a breeze. If you have a spare dollar or two and if your cat is already trained to use a hidden or covered litter tray - this type of litter receptacle is ideal! 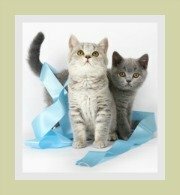 Covered litter boxes will cost you anything from $27 to the more expensive cat litter cabinets which could set you back about $ 750.